Navigate to the Members section. Click on the Add Members button. Type in the name of users you want to add. Click on them to select them. 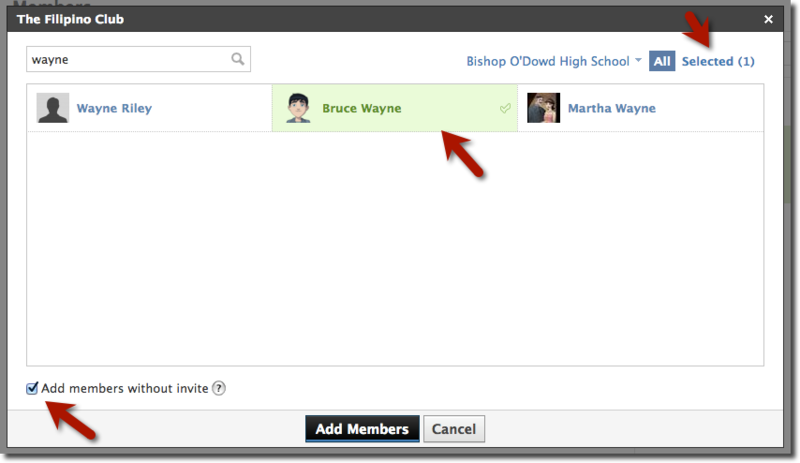 Make sure that Add members without invite is selected, otherwise you'll need to wait for them to respond before they join the group. Click on Add Members to finish. To make a student or another member of the group an administrator, go to the Members section.